On 16th May 2017 India erupted into ecstasy when news flashed that the CBI raided at premises (14 locations spread across Mumbai, Chennai, and Delhi NCR) linked to Karti Chidambaram, son of former Finance Minister P Chidambaram in connection with a case of alleged corruption. These raids were conducted after CBI filed a FIR against Karti and INX Media alleging that INX's FDI inflow had been initially flagged by FIPB as "deceitful and fallacious" for irregularities. However, after it roped in a company owned by Karti for consultancy, its fresh proposal was approved by FIPB "by influence exercised over them by KC," the CBI FIR says. Both Peter and his wife Indrani Mukherjea, founders of INX Media, are accused in the Sheena Bora murder case and are lodged in jail in Mumbai. INX media in a criminal conspiracy with Karti, influenced the public servants of FIPB in the finance ministry. In return for the services, CBI has alleged that Karti got a payment. CBI further claims that it got vouchers of payments of Rs 3.5 crore from INX Media to various companies associated with Karti. P Chidambaram's only defense is a political vendetta. "The Centre's aim is to silence my voice and stop me from writing," - he claimed. It is just the tip of the iceberg. The list of Chidambaram's misdeeds doesn't end with petty corruption. The cases of corruption of the then sitting Cabinet Minister were discussed even in the parliament, which Chidambaram rejected, with the only arsenal in his possession, his brazen smile. The ten years of UPA was the worst period that led to massive losses to the exchequer, policy paralysis, defunct institutions and finally Congress's extinction. Let us look back Chidambaram's illustrious career in different roles; some are regularly reported, some are not. These adjectives for ex-FM were first coined by an ace lawyer, Ram Jethmalani in this piece. Chidambaram's first major achievement was getting caught for his investments in Fairgrowth, which was involved in the Securities Scam of 1992. Unfortunately, Chidambaram had to resign because he was not Finance Minister at that time and did not have the machinery to hush things up. Next Chidambaram came in the news when the 90-year-old Indian Bank was cleaned up and left with only non-performing assets. Thanks to his Tamil Maanila Congress friends. With palpable nervousness in political circles, Chidambaram conveyed his displeasure at the CBI's action against T P Karunandan, the Indian Bank's executive director. Prime Minister Deve Gowda reportedly pulled up CBI Director Joginder Singh for violating what is known to be the Single Directive. This procedural norm was laid down by the Ministry of Personnel which prohibits the agency from initiating action against officials above the post of a joint secretary without prior sanction by the concerned ministry. Chidambaram's biggest contributions to the Indian economy remains his pioneering initiatives for changing the color of money from black to white, a passion that has never left him. One of his dream budgets (1997) as Finance Minister, had Voluntary Disclosure of Income Scheme (VDIS), when he was with the United Front government, granting income tax defaulters indefinite immunity from prosecution under several Acts, in exchange for self-valuation and disclosure of income and assets. The brilliantly conceived scheme VDIS-1997 gave total freedom to the defaulters to fudge any date they wished to their advantage and further plunder of the country. The CAG of India condemned the scheme in its report as abusive and a fraud on the genuine taxpayers of the country. The story was forgotten, and Chidambaram rose to greater innocence in the UPA regime. Being Finance Minister in the UPA government was his finest hour. He could fiddle around with tax treaties, share markets, banks, financial instruments like securities, participatory notes, and use his extraordinary innovative prowess of black money magic to plunder our country with complete impunity. Chidambaram is also the author of the Saffron Terror Theory which he executed with impeccable finesse. Each new revelation in the Ishrat Jehan case removes the veil of secrecy that there was a collaborated effort to damage one man, the present Prime Minister Narendra Modi. Four terrorists including Ishrat had entered Gujarat with the intention of assassinating Narendra Modi. All the four were intercepted and were killed in an encounter. At that time, the UPA Government took a firm stand that Ishrat and group were LeT operatives, and the encounter was genuine. Five years later, in 2009, the UPA Govt. took a complete U-turn when P Chidambaram became the Home Minister. Chidambaram revised the original affidavit filed by MHA by striking off the insertion that Ishrat was a LeT operative. Ishrat was declared an innocent moon-faced Muslim girl by the intelligentsia and used by the UPA government to attack Mr. Modi. In next, soon after the worst-ever terror attack on Indian soil (the 26/11 Mumbai terror attack in 2008), prized minion of Congress party, Digvijay Singh participated in a book launch of ‘RSS KI SAZISH’. If Ajmal Kasab was not caught, and their telephone conversations were not intercepted, we would not have been able to prove that India was a victim of terror attacks from across the border. Next, the crazy IPS officer, Satish Verma, who said that both the 26/11 terror attack and the 2001 Parliament attacks were orchestrated by none other than the Indian Govt. or were the handiwork of Indian Intelligence Agencies, was picked by Chidambaram as SIT head to investigate Ishrat Jahan case. Report. Around the same time, a series of low-intensity terror attacks targeting Muslims were conducted to create a "Saffron Terror" background. Hindu extremist organizations were accused of involvement in terrorist attacks like 2006 Malegaon blasts, Mecca Masjid bombing (Hyderabad), Samjhauta Express bombings and the Ajmer Sharif Dargah blast. In the twin blasts, that shook two coaches of the Samjhauta Express in 2007; the primary suspects were Lashkar operatives. But interestingly, soon after Chidambaram became the Home Minister it was linked to Col Shrikant Purohit, an Indian army officer. Except for the Indian investigators, all others pointed fingers at the LeT to be responsible. For example: "Qasmani Arif, chief coordinator of the relations of LeT with other organizations, has worked with LeT to facilitate terrorist attacks including, the bombing of February 2007 in the Samjhauta Express in Panipat (India)." It is what resolution [No 1267] of the Committee on Sanctions of the United Nations Security Council [UNSC] dated 29.6.2009 declares. Why were these clinching pieces of evidence not pursued and how did the blame shift from Islamists to Hindus, is something only Mr. Chidambaram can explain. Despite of Col. Purohit getting a clean chit by the Army's Court of Inquiry, he was framed and arrested. Both Sadhvi Pragya and Col Purohit were framed. The ATS reported that they were part of an alleged "larger conspiracy," without elaborating what the conspiracy was. Till today, the NIA has found no evidence against Col. Purohit or Pragya Singh Thakur in any case. Sadhvi Pragya was granted bail recently after being in jail for nine years without any charges being filed. Soon after coming out she claimed: "I'm the victim of Chidambaram's 'saffron terrorism' bogey." The same modus operandi was repeated in the blast that occurred inside the Mecca Masjid, Hyderabad. The SIT of Hyderabad Police arrested ‘South India commander' of the LeT, identified as Shaik Abdul Khaja alias Amjad, from Afzalgunj area of the city. But the NIA, CBI, and ATS questioned former members of the RSS and produced Swami Aseemanand before the court in connection with the Blast. If you observe in all the information above, no one yet is convicted in all these cases. Why was the US intelligence making a categorical statement accusing, not even suspecting LeT & SIMI's involvement in all the attacks? The Home Minister P Chidambaram abused the constitutional offices under oath and compromised the national security of this country by protecting the enemies who have been killing our citizens in the terror attacks and bleeding India. Chidambaram's record as the protector of internal security is even more disastrous. With the worst massacres of our paramilitary forces taking place in his time, because there were neither effective preventive or punitive systems in place, nor the political will to combat any form of terrorism. 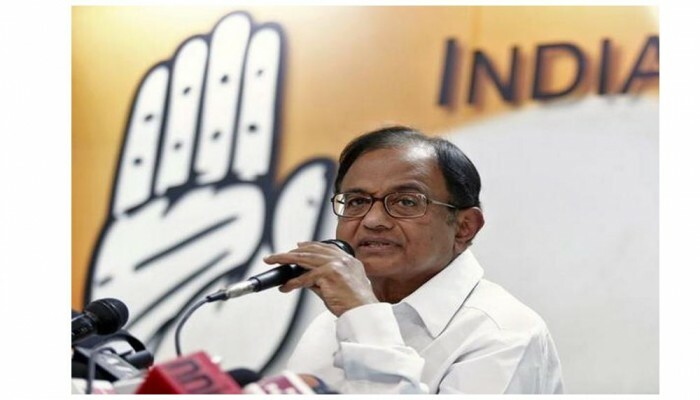 It is on record that Chidambaram gave incorrect names of India's most wanted list of terrorists allegedly hiding in Pakistan and made us a laughing stock before the world. That's some testament to his fabled efficiency and commitment. Another badge of honor in Home Minister Chidambaram's chest is that he created a collusion among our top investing agencies, namely, IB, CBI, and NIA. Instead of working and co-operating with each other, the officers were investigating and prosecuting each other. For example, CBI had filed a charge-sheet against Rajinder Kumar and three other IB officers. This Rajinder Kumar, the Special Director of the Intelligence Bureau, was part of the team which tracked down the Ishrat operation, later claimed that he was pressurized (burnt by cigarettes) to implicate the then Gujarat CM Narendra Modi in Ishrat Jahan encounter case. The senior-most minister Pranab Mukherjee confirmed that he suspected his finance ministry offices were bugged and had sought a secret inquiry complaining the PMO. Then the choice of CBDT without having any counter-espionage experience, for the debugging operation instead of IB (which comes under Home Ministry) which has proven expertise in the field tells all. It sets out public speculation about who might have been behind the alleged bugging with simmering sign of one-upmanship between the two ministries. The embarrassing episode drew a "no comment" from the government officials playing down the controversy. But Subramaniam Swamy directly accused Chidambaram of planting devices in Finance Minister's room at the behest of Congress president. "According to my information, this tapping was done at the direction of Chidambaram, and perhaps he was asked to do so by Congress president Sonia Gandhi for Hasan Ali case because Pranab was showing signs of guiltiness in the Supreme Court. If names are released, it will lead to many other big names," Swamy added. Swamy further alleged Chidambaram, saying: "I now have information that the tapping also enabled Mr. Robert Vadra and Mr. Karti, to use the data thereby collected to manipulate and rig the Mumbai stock market. Earlier these data were directly provided by the then Finance Minister Mr. Chidambaram." If what is put out by Dr. Swamy is false, why doesn't Chidambaram sue him? The IB concluded that "planted adhesives" in the finance minister's office were nothing more than "chewing gum" in contrast to the CBDT claim that there were tiny devices in the office, which were pasted and then pulled out. Next year, PTI reported that the Defence Ministry had ordered a probe by the IB after they found a bug or the presence of audio listening devices in Antony's office. The government issued a press release denying the reports of ‘bugging' in South Block. Chidambaram also has a case pending in the courts based on his opponent challenging his win in the 2009 elections. Moreover, most intriguing part is, these revelations were never covered by any of the so called media houses. Mr. Chidambaram assiduously cultivated the media with his clipped English accent, generous freebies, and sustained shadows of the Enforcement Directorate that he commanded. As the present FM Arun Jaitley said, the day of reckoning has come for many, and they will be held accountable for their misdeeds. The dark clouds of the 2G scam and other acts of omission and commission are menacingly closing in on Chidambaram. Mr. Chidambaram is no holy cow, and as a citizen, he is bound by the rules. If the CBI or the investigating authorities have any suspicion, prove your innocence by allowing them to do their duty rather than running for political cover and engaging in theatrics.